Montana: the big sky state. 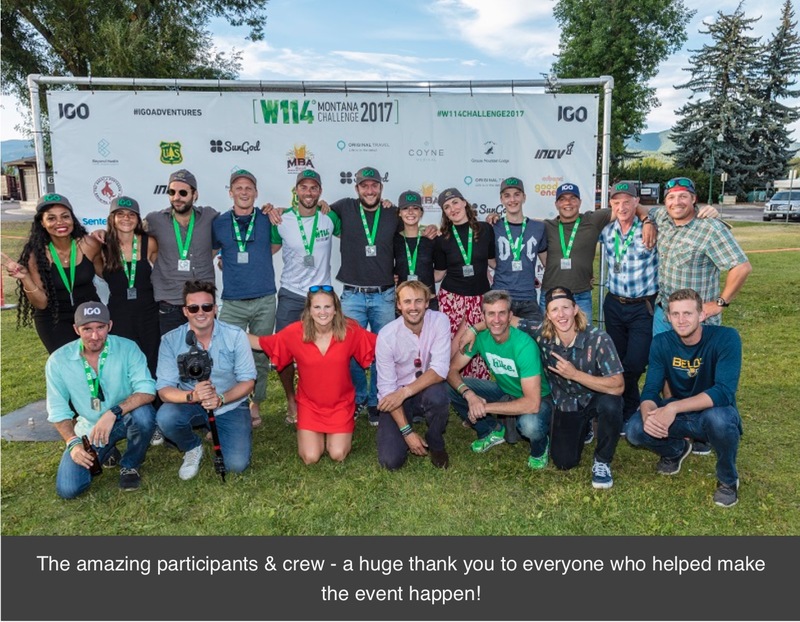 Famous for its untamed wilderness, amazing scenery and incredible night skies, it was an unforgettable location for IGO’s inaugural event in the US. 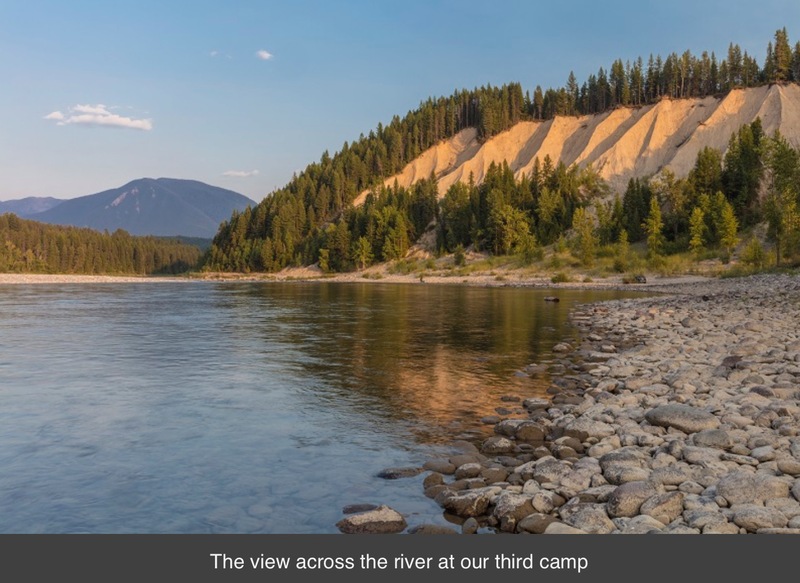 We experienced warm temperatures, forest fires, and even a bear sighting – yet despite this it was a remarkable journey of camaraderie, adventure and lifelong memories. Dawn broke to clear skies, smoke-free air and a warm breeze. We set off for the four day expedition from just outside the hotel, beginning with a 2.5km trek to the edge of Whitefish Lake before everyone donned their wetsuits and orange swim caps to swim across the lake. With the sun still low in the sky and some choppy water, it look a lot of concentration to head in the right direction. 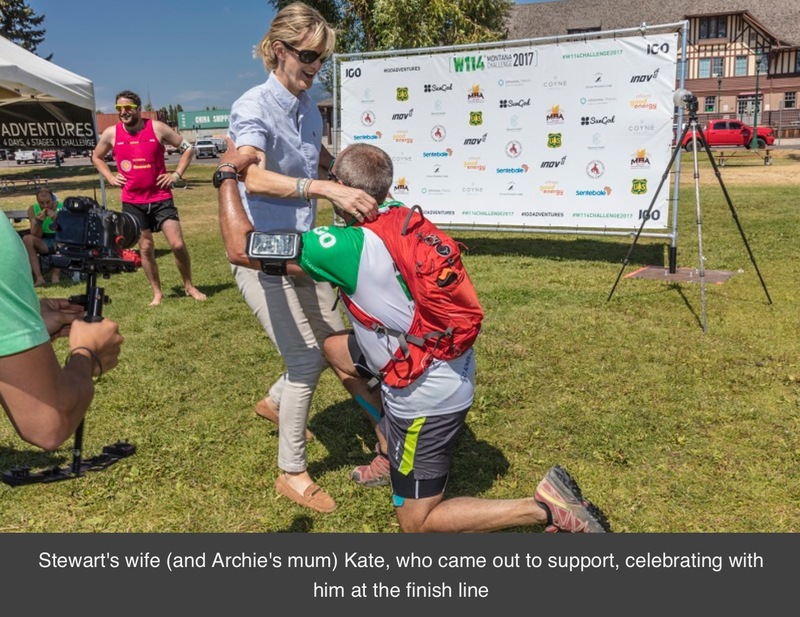 The team emerged from the water in fairly quick succession, exhausted but elated at making it to the other side, with one overheard saying that the swim was ‘the greatest achievement of my life’. Casting wetsuits to one side on the bank it was time to trek the final 10km into camp. Our first camp was stunning: in the middle of nowhere and next to a beautiful lake that was perfect for a cooling dip and easing tired muscles. A few hardy souls armed with fishing rods and paddle boards heading out to try and catch some dinner, but to no avail. Freeze dried food remained on the evening’s menu. Day 2 saw the mountain bike stage; feared by some but relished by others. A steady ascent made up the first half of the route but the views from the top at Warner Peak took any remaining breath away, as well as providing an acceptable excuse for a photography break and water bottle refill before descending through the forest, following winding switchbacks along a dirt path. It was here that Shaakira had her bear encounter – coming round a corner to see a black shape on the path ahead and braking sharply. Instead of pulling out her bear spray, she snapped a few pictures on her phone (so that we would all believe her!) before following protocol and waiting for the bear to pass. Sure enough, the bear took no notice and ambled back into the forest on the never-ending hunt for their local delicacy, huckleberries. 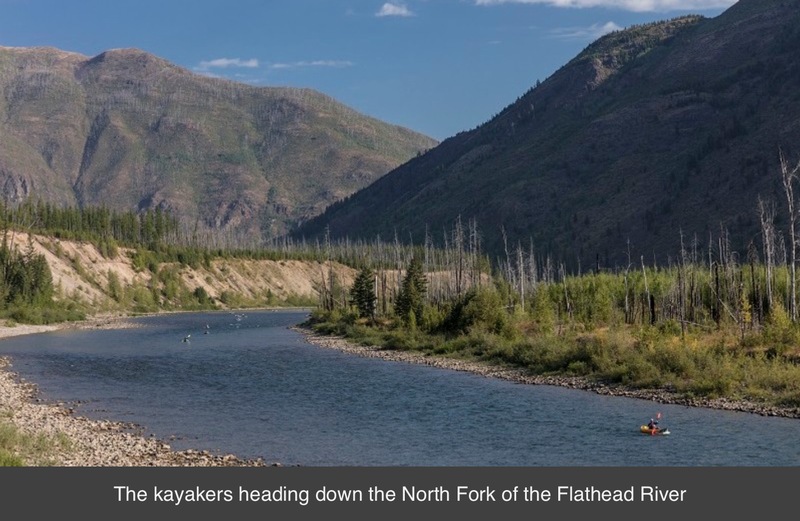 A stunning kayak down the North Fork of the Flathead River was on the agenda the following day. 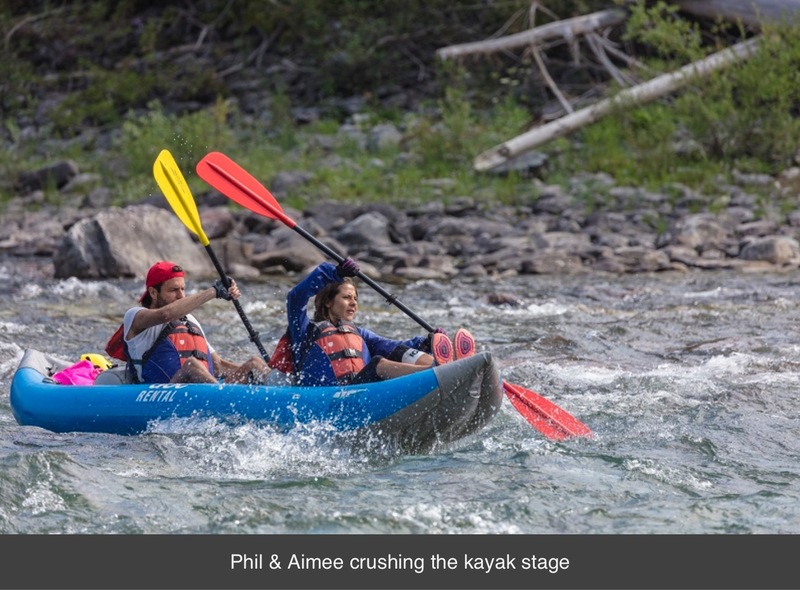 Whilst some chose to power ahead to some (rather choice) rock music, others took a more leisurely approach, floating steadily along and enjoying the winding river and crystal-clear water brimming with wildlife. Our camp was on the edge of the river so there was ample opportunity for a quick fly-fishing lesson whilst those without the patience to fish spectated from the riverbank with a cold beer, or played backgammon that Phil & Aimee had cleverly thought to bring. 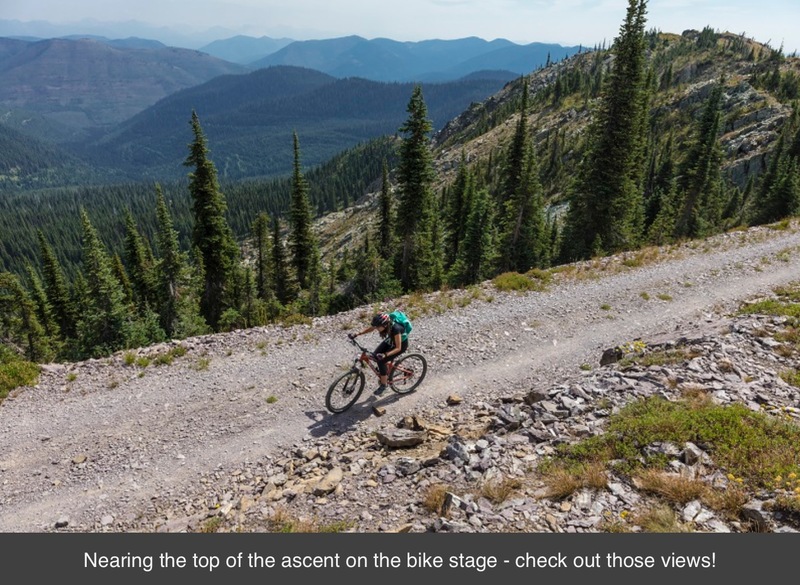 The final 40km trek back into Whitefish was treated with some trepidation from the participants as temperatures were set to be in the high 20’s which, coupled with sore muscles from the previous few days, would make the final stage a testing one. However, the comfort of knowing there were hot showers, loved ones and a cold beer at the end were definitely strong motivators. 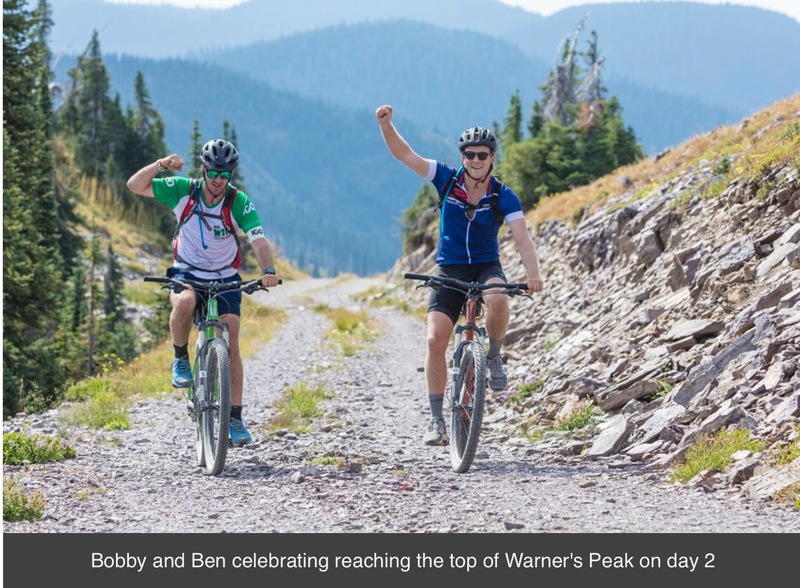 A spectacular performance by Ben & Eli saw them over the finish line around the 4 hour mark and the rest of the team were not long behind! Feasting on incredible burgers and local beers from Great Northern Brewery was a fitting finish to an amazing few days.